Westcott See-Through Acrylic Rulers - Durable ruler is accurately scaled in 1/16" markings (Imperial) on one side and millimeters (metric) on the other. Made of flexible acrylic. Ideal for home, office, school and shop. 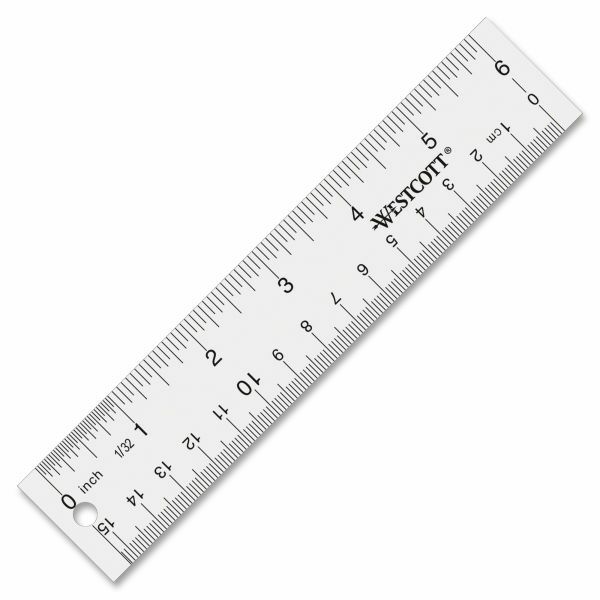 Ruler features raised, beveled edges to eliminate smearing and extra margins at the ends for clear starts and stops. Packed in a vinyl pouch. Vinyl pouch included; length: 6"